Gavrilo Princip is a play about the Serb who shot the Habsburg Crown Prince, Franz Ferdinand, in 1914: the event that is widely considered to have been the trigger for the outbreak of the First World War. Gavrilo Princip juxtaposes a reconstruction of the assassination of Franz Ferdinand and a multitude of scenes from European literature together with recorded descriptions from people recounting the moment they heard the news of the attack. The play is a collaboration between the Holland Festival, HAU Berlin and the Kaaitheater in Brussels. 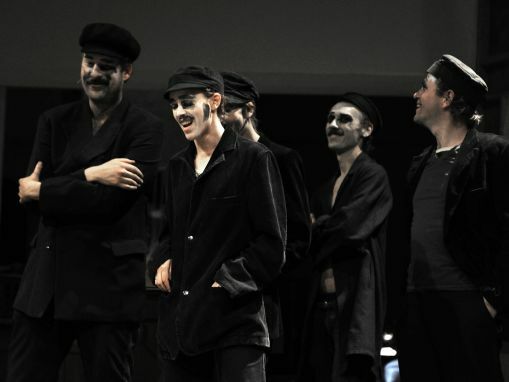 Ammodo supports Gavrilo Princip to contribute to the production of new theatre work.